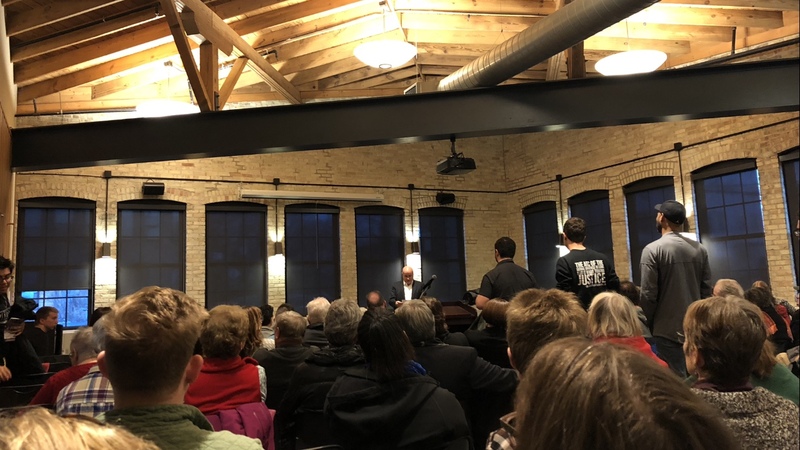 U.S. Rep. Mark Pocan, D-Wisconsin, held his fourth town hall in two weeks Wednesday night and discussed President Donald Trump’s intention to end the Deferred Action for Childhood Arrivals, how to achieve gun reform and his debt-free college plan. Addressing gun reform, Pocan said the Democrats have to take control of the messaging and explain the National Rifle Association to voters. 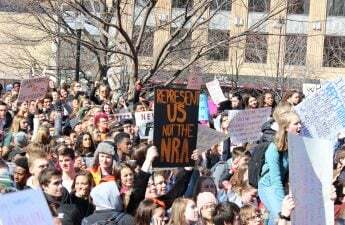 The NRA and the ideals it represents are not those of a Wisconsin hunter or the person who owns a gun for safety in a rough neighborhood, but represents solely the interests of gun manufacturers, Pocan said. Pocan said the Stoneman Douglas shooting has prompted meaningful conversations and movement towards gun reform in Congress, like the $1.3 trillion House budget wich allows for the Center for Disease Control to study gun violence. He attributed meaningful movement on the issue to the youth organizing walk-outs and demonstrations across the nation in high schools and universities. There has been progress on issues like climate change and DACA in the United States Capitol’s halls, but Pocan said Republican leadership is not interested in anything beyond lowering taxes for the rich and cutting funds for Social Security and Medicare. A vote to save DACA, for instance, has the support of over 50 Republicans in the House, but Pocan said House Speaker and U.S. Rep. Paul Ryan, R-Wisconsin, refuses to bring it to the floor. 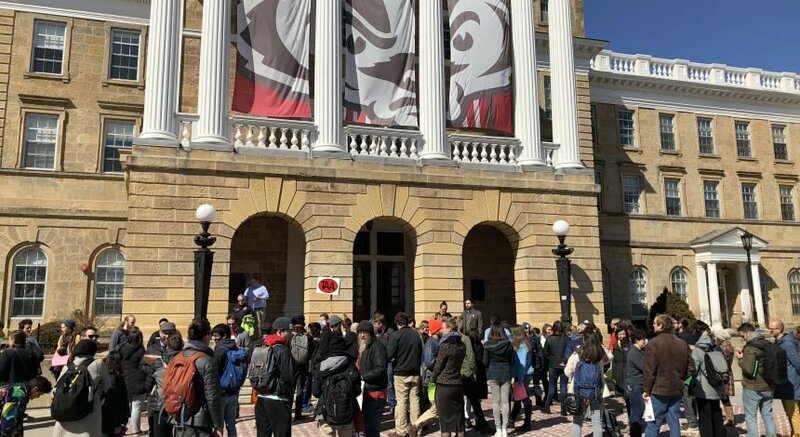 If Democrats were to regain control of Congress, Pocan said progressive reforms like his debt-free college plan, which would require students to do work-study programs for 10 to 12 hours a week but allow them to leave college without burgeoning amounts of debt, could pass. Pocan added that after his triple bypass surgery left him 15 pounds lighter but saddled with a stack of medical bills amounting to $200,000, he fully realized the burden the current medical system can place on individuals. Medicare-for-all, which would remove the age requirement for Medicare, has gained roughly 65 percent support among House Democrats and could be passed with Democrats at the reigns. Pocan returned several times to a bumper sticker he said he’s going to put on his car, which explains that change comes from below, not from up top. He believes this change can apply to DACA, gun reform, campaign finance reform and every other issue. “If the people will lead, leaders will follow,” the sticker read.